We are a collective of people and national groups that have joined forces in order to ban the slaughter of equines for human consumption in Canada, as well as the export of live horses to other countries for the same purpose. Please view this video for more information. I don’t and wouldn’t personally eat horse meat… but what’s the difference compared to a cow? Why the disgust just for horses? I love a good hamburger every now and then, and even though I wouldn’t eat a horseburger personally, seems pretty hypocritical of you to pick and choose one over the other. What’s your argument? That horses provide humans with service and companionship? There are cattle that do the same. Cows have no less use or personality than horses. I may eat beef and not horse… but as long as it’s humane, I’m not going to denigrate someone for the type of animal meat they eat. Why do you? I couldn’t agree more. My daughter has 2 horses. One a rescue. It took her when she was younger 5 years to get the money and employment so she can keep the horses. Horses for many is a Life Choice through and through. We can change this slaughter. I keep forwarding all the MP I can. Did you know that the individuals who actually do the killing are suffering and have been reported of dealing with Post Tramatic Stress Disorder. And the fact that the U.S. Doesn’t slaughter but sends the horses up here to be killed,then there is the fact that less then 1% of Canadians eat horse. It is a matter of time. Licencing the horse owners is a good idea. My daughter would gladly pay a licencing fee I know. Let’s just keep working at this. MAKE SOME NOISE!!! Now that said I just dare one of those cooking shows to have Horse on the menu. Boy that would be a huge mistake. I remember when living in South Africa, you had to pay a yearly licensing fee per dog that you owned. Maybe the Canadian government should be petitioned to do likewise, not on existing horses or there will be even more people sending their horses to slaughter, but on new-born foals – and make it a stiff yearly recurring tax for the life of that horse born after said legislation. Of course I also support everything CHDC tries to do, but it’s so depressing trying to fight with the government we have. I used to be proud to be Canadian, not anymore. Maybe I was naive when I was young, but things seem to be getting worse instead of better for the environment and all animals, especially horses. I would like to donate to CHDC, but don’t have much money, so need to give only to organizations that are tax deductible, so as to reduce any taxes to our corrupt government. I need to find out if CHDC is a tax exempt charity, and if not, suggestions for other groups with similar mission that are. I really want to do what I can most efficiently with my resources. Somehow, before I die, I would love to make a difference, however small. Talking doesn’t seem to help, except among those already on board. If anyone can answer my tax question, please post, although knowing Harper a vital cause like CHDC is probably considered too subversive or even terrorism. Thanks for any help. Wondering what your thoughts are on the following. Rescue businesses Breeding Rescue horses ?? I know my thoughts and its not pretty but need some support here. Thank you. hello. I also want to do my part. I would like to get people signed for the petition. is it too late? is there a dead line? please let me know. YOU ARE DISGUSTED OF THIS CRUEL ACT, CORRECT? Then PLEASE DO SOMETHING!! I read every post, and I only seen a few that stated they signed the petition. 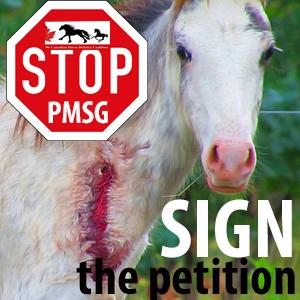 Take your anger and direct it to HELP our horses without a VOICE!! Do you KNOW how these majestic creatures meet their end?? Never mind HOW these “Kill Buyers” transport our horses. SOME are whipped and dragged into trailers that are JAMMED with stallions, foals and pregnant mares, where fights occur, and if the horses can WALK when they get to the slaughter house, they wont for long. I am NOT enjoying this at all…BUT people need to know!! Slaughter houses in Mexico. horses, kill horses by stabbing repeatedly in the neck with a “puntilla knife” to sever their spinal cord, to paralyze her/him, and they are unable to breathe due to drowning in their own blood, while the butchers cut her/him up, some are still conscious!! Would YOU want to go like that? PLEASE!! Do you part, sign the petition!! Learn more on our fight to stop horse slaughter and protect the global food supply!! Learn more, PLEASE join our march on 9/29/2015 in Washington, D.C, we are the voice for our pets/companions!! !Go to http://www.noequineslaughter.org/ to do LEARN more!! Or go to The Humane Society to Stop Horse Slaughter!!! Please do SOMETHING!! Please could you sign my petition Bill C-322 on change.org. Please say NO to Horse Slaughter for Human Consumption. Horses are intelligent+loyal+we have a long history of them serving us in so many ways. They deserve to end their life in dignity. On August 5,2011 i received in the mail a cut out from the front page of the Toronto Star dated July 30,2011. it was of course about the horror that is Canada’s cruel secret. we slaughte horses for meat because the americans are forbidden to do so. This hipocritcal practice that the Unite States is up to has to stop. Shipping horses to Canada, namely to animal abuse friendly Quebec for slaughter, has to be exposed more in the media. In Montreal, where i live, large grocery outlets like LOBLAW, SUPER C, AND IGA sell horse meat. i have spoken to the managers of these establishments to no avail. the demand is there. in quebec you will be hard pressed to get any change happening. the french practice many of the habits of their countryment in france, and we all know how wonderful they are with animals. ducks for instance are force fed with funnel tools jammed down their throats to ‘fatten’ their livers. This is just diseasing their livers and torturing the animal in the meantime. filthy conditions in quebec prevail with this practice. I was just googling my favorite cafe Black Camel in Toronto and i ran across some information that says that it uses Horse meat? I haven’t ever seen anything of this whenever i have been there. Are you sure, and if so, what sandwiches would be using it? I dont want to go back in there if so but I am wondering if you are somehow mistaken? Do you mean Black Hoof? They use horsemeat. I would like to know how to join/help your organization. What the F><&! Why is it I have never heard of this? I like to think I am relatively well informed!? As an active environmentalist I am always disgusted at how well things like this are kept from the 'public'. Bravo to you all who are involved in the protest and fight against this horrific practice. Good luck and best wishes to you! Wild desert horses in Australia are under threat of being shot. The government wants to kill these magnificent horses to make way for cattle. Please watch this film. Please share it with your networks. If these horses touch your heart, please let your voice be heard. Let his government know the world is watching! i just want to know when will be the next special horse auction in St-Jacob’s ( hamish ). I think it was in october last year but i do not find any informations. It will be very kind to you to let me know. Thanks!!! How do I contact someone in your organization? WE just had a bad experience with selling horses to a lady who portrays herself as a pony rescue advocate. We have just found out that everything she toldus was a lie and one of our beloved horses was headed to the meat market. We are hoping we have found out in time and she will be saved but want to warn others not to trust this predator. She promised us she had loving homes for them and drove away with our daughter sobbing in the driveway only to flip one and sell the other to meat market. That’s what the CHDC has spent years trying to do…and what we’re all working hard to do, Mary-Joe…changing federal policy takes decades and we all need your help – emailing politicians on every level, getting a petition going in your constituency, networking with other organizations, downloading information and distributing it – any way you can think of to help get the word out. There is no magic wand here and the more people get actively involved, the closer the reality becomes. Recently I read an article on TheHorse.com that was very interesting. Florida has declared its state as a Horse Friendly State. Slaughtering horse is against the law in that State. I think we should start something up here in Canada. Making Ontario/Canada a Horse Friendly Province/Country. I have read over time the replies with all the stands, opinions. All the hard work to try and change the horse slaughter here in Canada. Each and every opinion has merit. But the bottom line is in those tiny boxes that are of horse. Look at the individuals making the decisions about this matter and so many more in Canada. A great Country don’t get me wrong but do these people really care and are they ever going to care about animal slaughter of any sort in this country. After all they also support the seal hunt which has been frowned on by countries around the world. And it hasn’t stopped. The bottom line is it is all about the MONEY THE HORSE SLAUGHTER INDUSTRY MAKES FOR THE PROVINCES IT EXISTS. MONEY AND JOBS THAT COME FROM THE SLAUGHTER. UNSKILLED JOBS. Canada is in such need for skilled workers yet why do people seek employment killing horses for meat. FOR THE MONEY. The politicians after all are the same individuals who in one province a person with cancer can get a much needed drug, it’s covered, the very province over and a person with the same cancer can’t get the drug cause it’s not covered. Over breeding is such a problems for so many domestic animals. I’d like to see a stiff licensing fee for each horse owned think of the jobs that would bring about. Geeze a licensing fee shouldn’t be suggested i can see one of those in power to make decisions thinking good idea lets make people pay a licencing for owning a horse and still make money slaughtering them. I will still write letters, sign petitions for change. And I love to be wrong on this matter but I don’t know. I’m older i remember people in the 60’s and 70’s yelling at the gov’t to put in place more humane tranportation of cattle and pigs to slaughter and more humane slaughter practices. It took many years. Has much changed. We humans learn the hard way and always too late. Great to see the CHDC blog up!